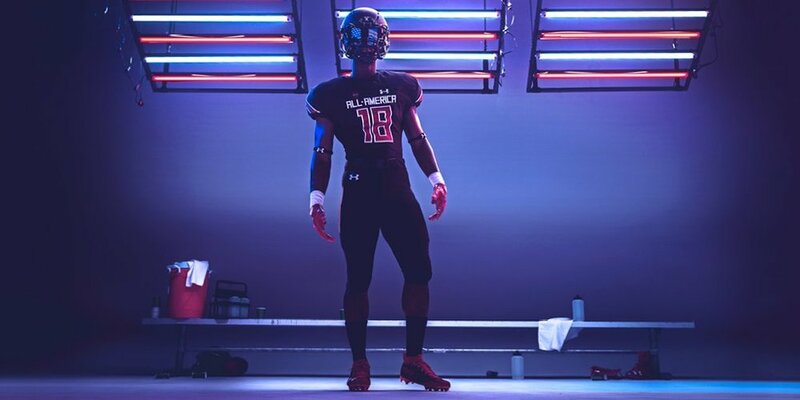 Under has released their 2018 Under Armour All America game uniforms. The two uniforms will feature an all black uniform vs an all white uniform. The red accent color will be found throughout the accessories and uniform to give both teams a pop of color.